We are happy to announce that two new frameless intrauterine systems have been approved in the European Union. Over 3 decades ago, an article appeared in the journal Contraception titled: “Immediate postplacental IUD insertion (IPPI): the expulsion problem”. The authors, M. Thiery and co-workers from the Ghent University in Belgium, after having inserted 2646 various IUDs, identified a persisting problem with immediate postplacental IUD insertion (IPPI) being poor device retention when compared to conventional interval insertion. Read how we solved this problem after 30 years of trial and error. 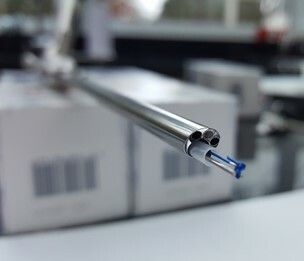 A new hysteroscopic technique (ReLARC®) for the insertion of long-term contraceptive devices is described. The procedure is conducted under direct visualization; the method is simple, safe and rapid, and is suitable for application in the operating room or the office. 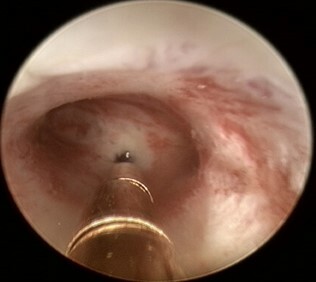 The method is a reversible alternative to more complex insertion techniques for hysteroscopic intratubal contraception. It is the first hysteroscopically inserted system suitable for long-term intrauterine contraception. The author of this website is Dr Dirk Wildemeersch, MD, PhD. He is a devoted researcher in intrauterine contraception for over 30 years and a developer of innovative intrauterine concepts and advanced drug delivery technology for contraception, hormone replacement therapy, treatment of menorrhagia, and other female health needs. Side effects of intrauterine devices are often related to disproportion with the endometrial cavity—is there a role for preinsertion ultrasound? How to become proficient with insertion of frameless IUDs? The insertion of GyneFix requires a unique method of implantation. The single most important prerequisite is to learn to properly insert the anchor. Our research has produced innovations around IUD contraception. These findings have been integrated in IUD products that are available on the market today. IUDs have the highest probability of being accepted by women if attention is given to the provision of correct information to dispel myths and misconceptions. Immediate postpartum insertion of an IUD has many advantages.